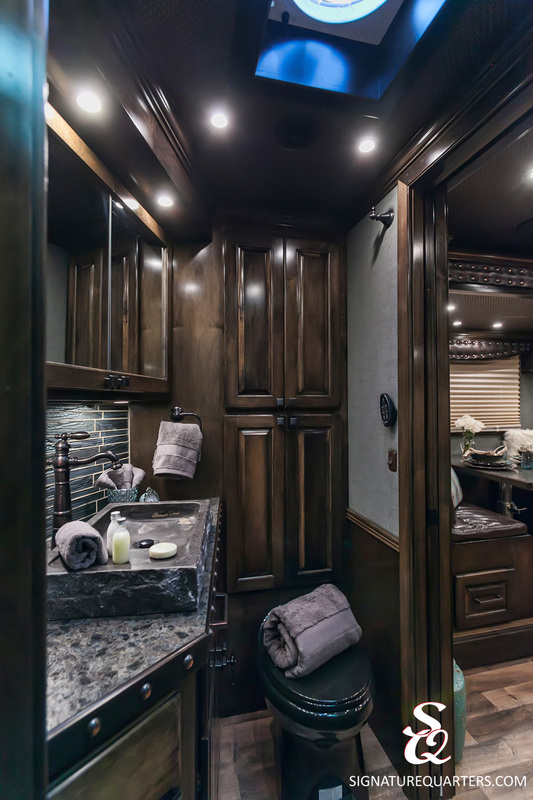 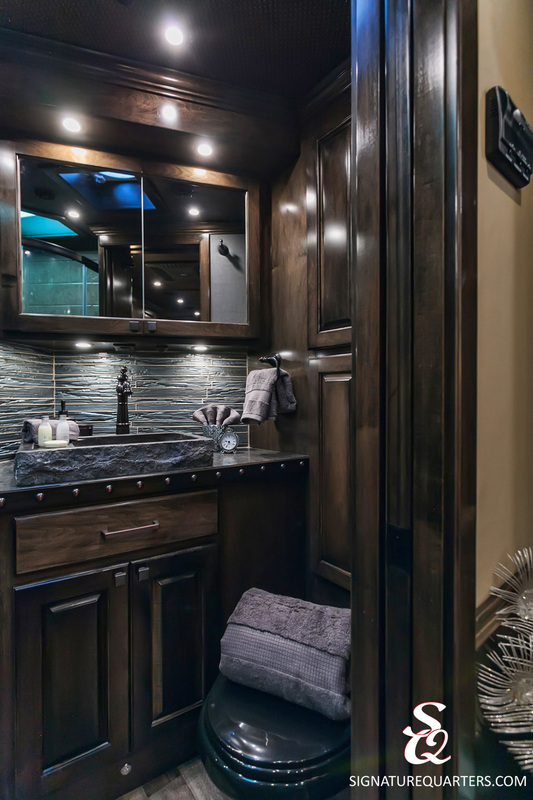 A true style knockout, this trailer highlights the exquisite craftsmanship you expect from SQ. 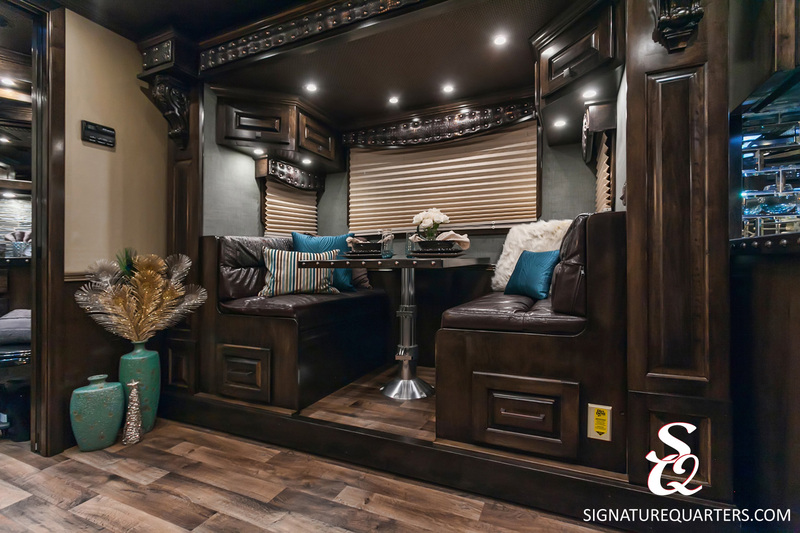 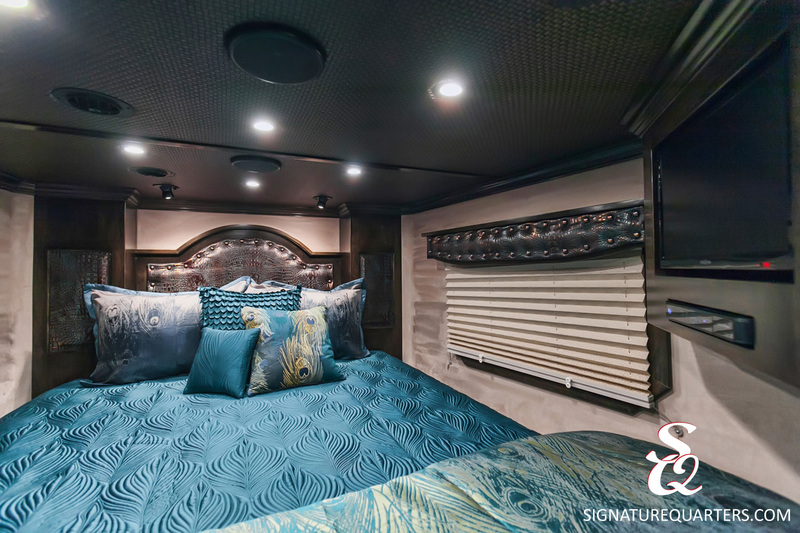 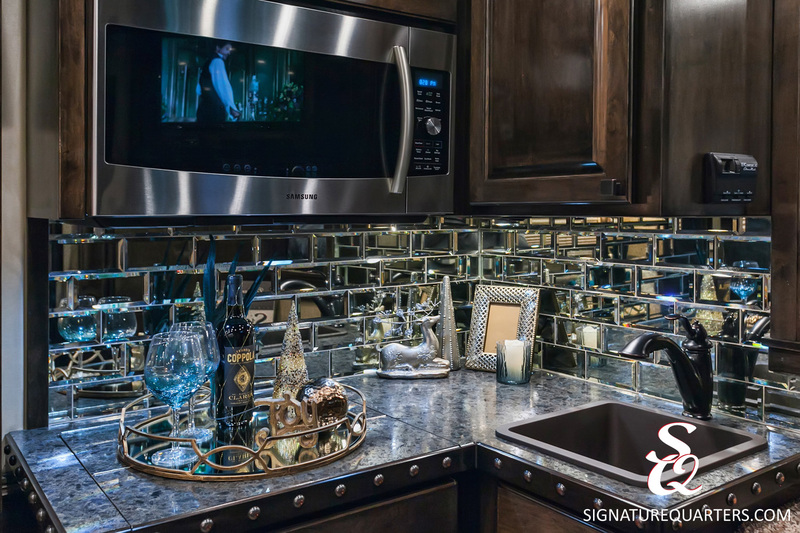 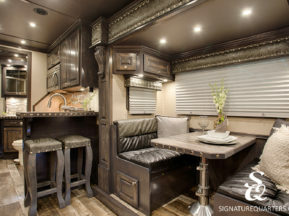 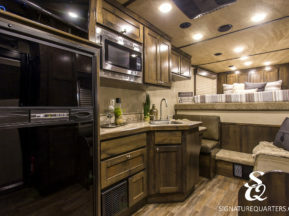 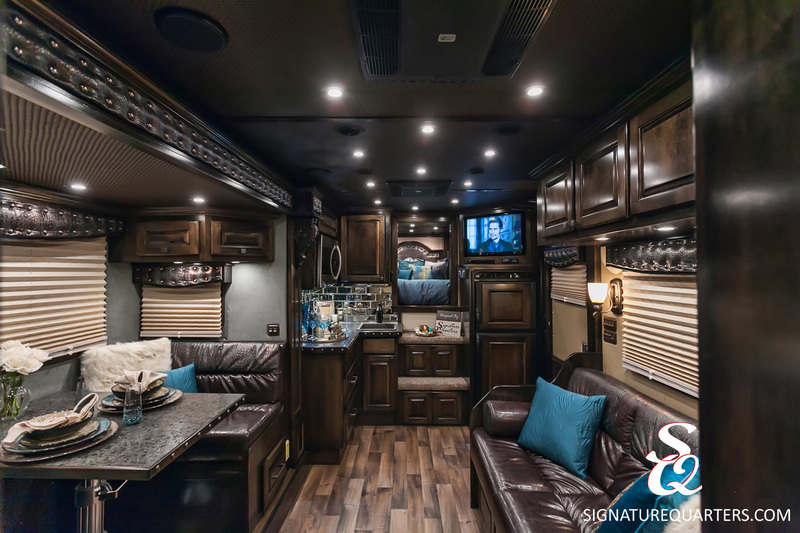 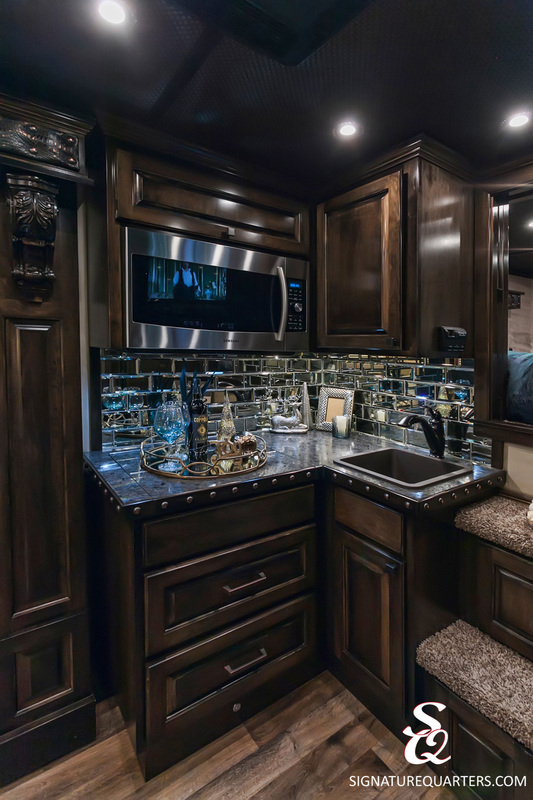 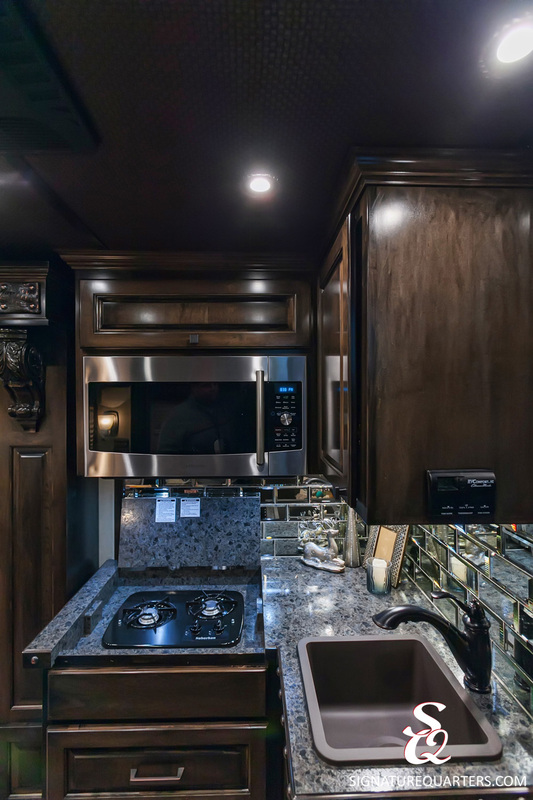 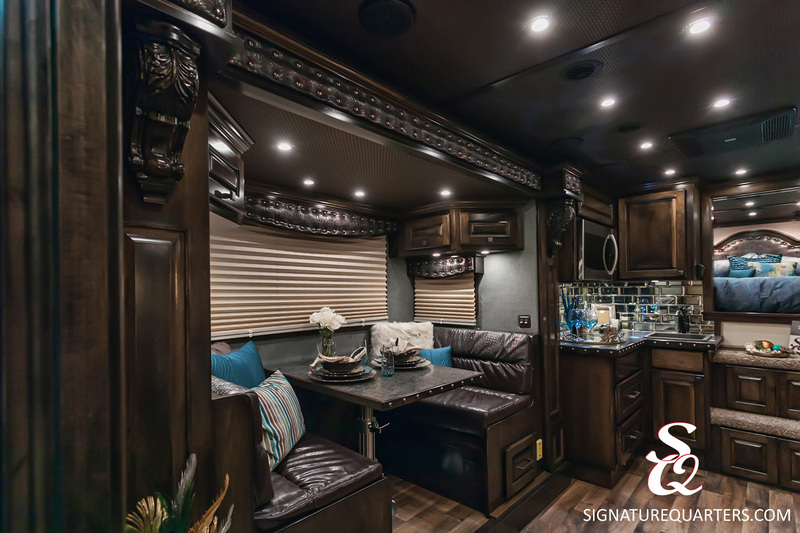 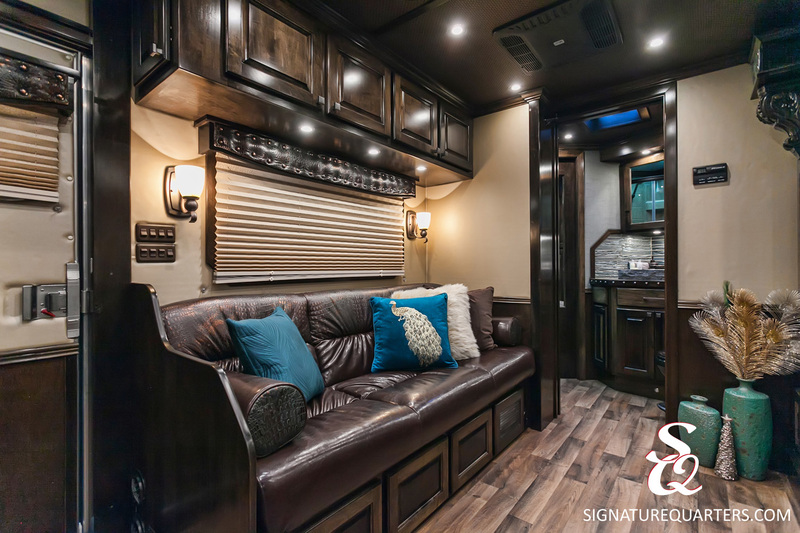 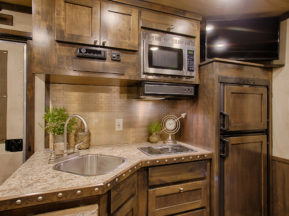 Deep, dark knotty alder cabinetry contrasts with a beautiful mirrored backsplash in the kitchen while the exotic leather of the couch and dinette features a trendy metallic finish. 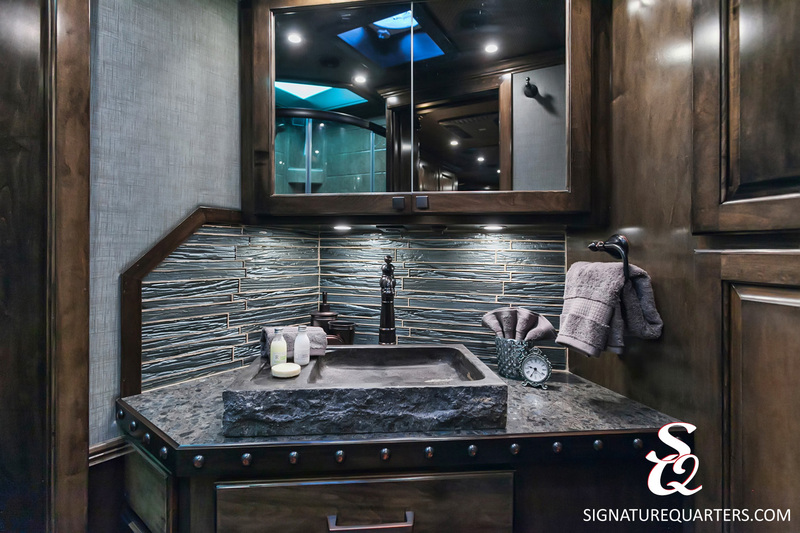 In the bathroom, you’ll find a clear glass shower, walk-in closet and oversized stone vessel sink. 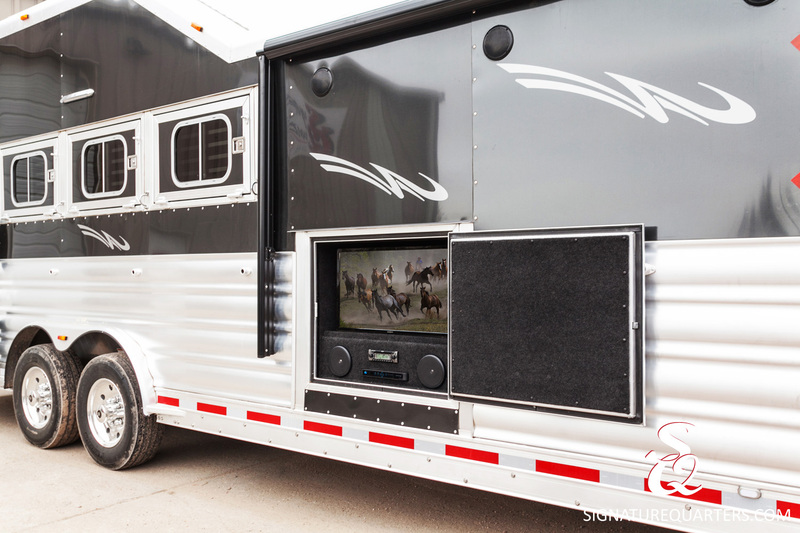 Outside, an exterior entertainment center is the icing on the cake!